The rounded shaped pen stand is outlined with golden border with the base remaining white in color. 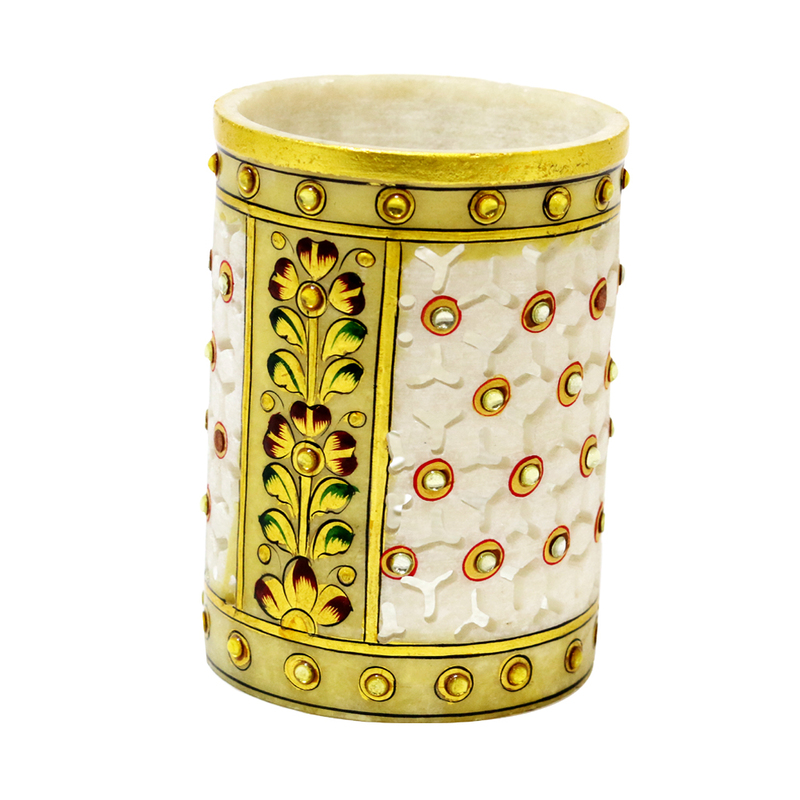 The outer areas of the holder are decorated Read More..with golden net work with special kundan and meenakari work. A product with such beauty is not only useful but attractive as well. the inner portion of this marble pen holder is devoid of any design keeping it simple. this type of artwork can be given as a souvenir or just utilized as a home decor utensil. Show Less..